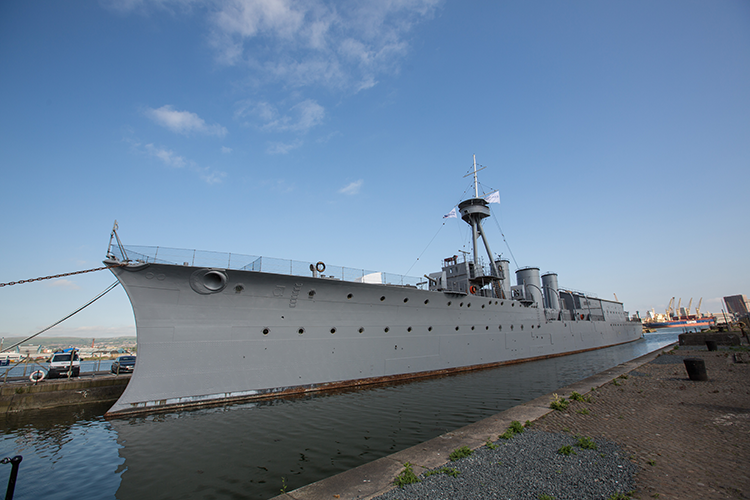 The ship is the last remaining British WW1 light cruiser still afloat (and the sole survivor of the Battle of Jutland).The National Museum of the Royal Navy (NMRN) and the Department of Enterprise Trade and Investment have worked as partners to restore and interpret HMS Caroline through a £11million refit to launch it for a new life as a floating museum. 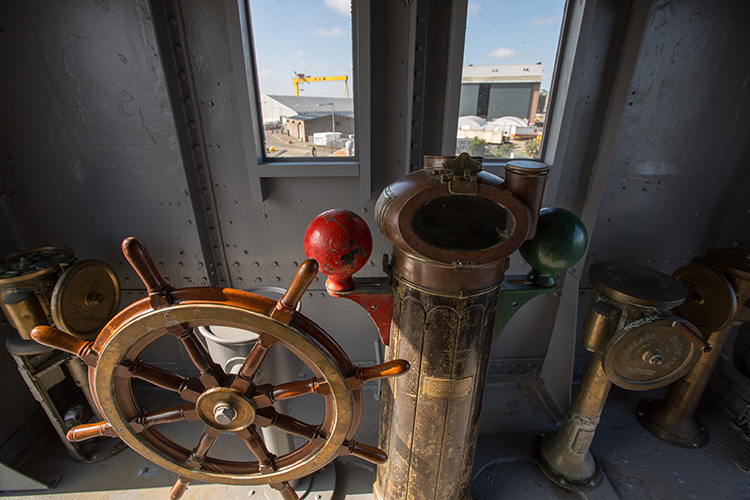 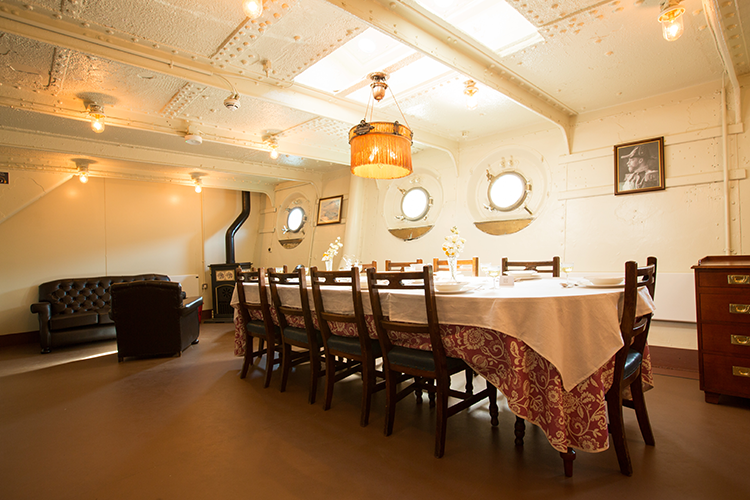 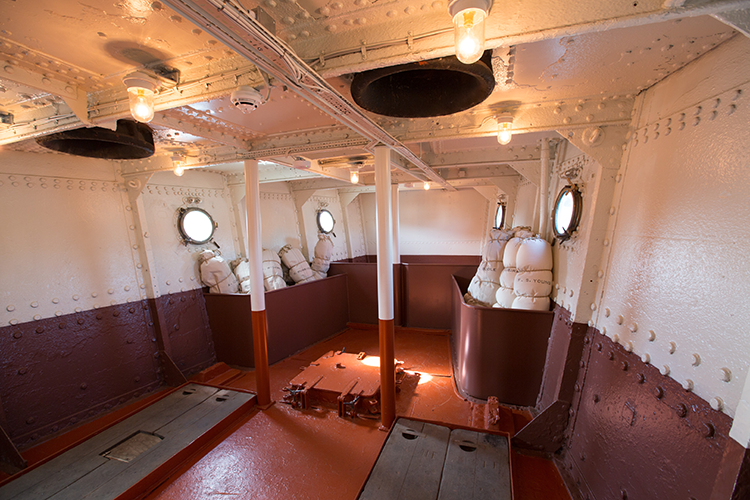 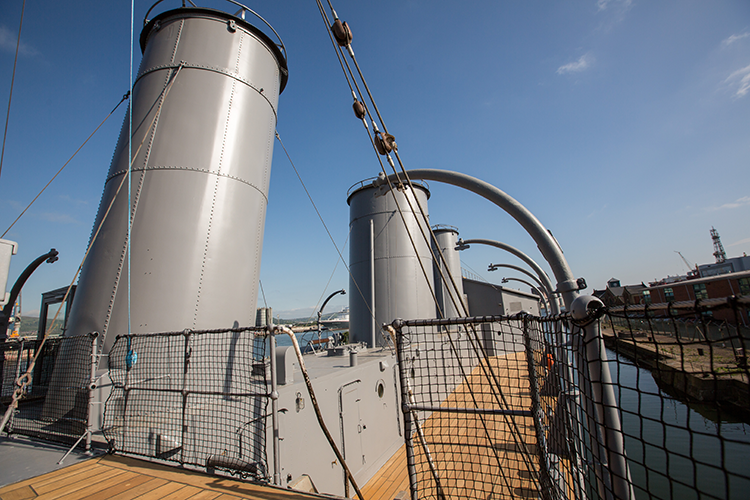 William Coates completed a comprehensive M&E services installation on the iconic HMS Caroline. 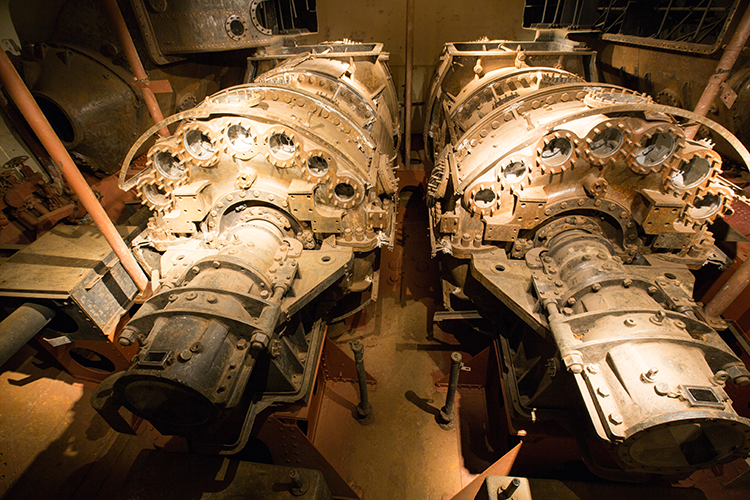 This included mains distribution coming from the dockside onto the ship and terminating in a new mains switchboard. 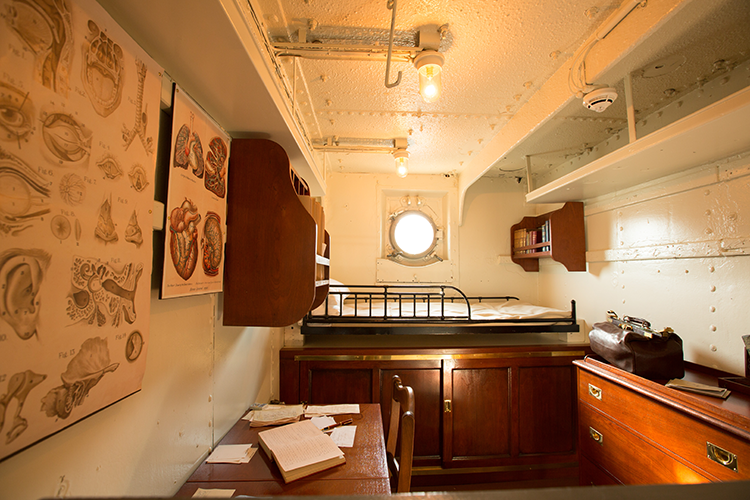 General power was supplied throughout the ship, including power supply to the interactive displays as well as general and emergency lighting. 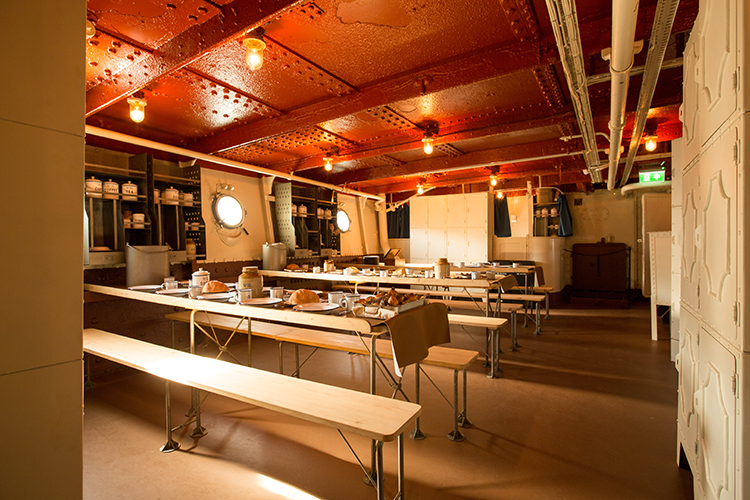 The old drill hall space was converted into what is now the main audio-visual space. 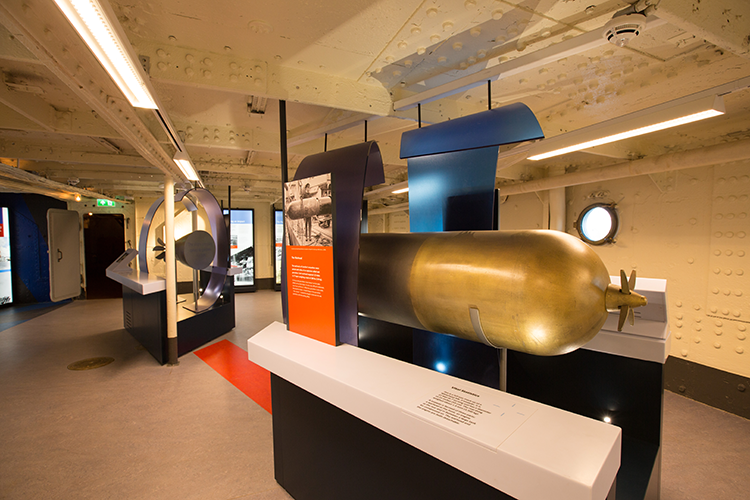 Intelligent lighting was installed there to compliment the video presentation, but also to enable the lighting to be adapted when the space is used for other types of functions. 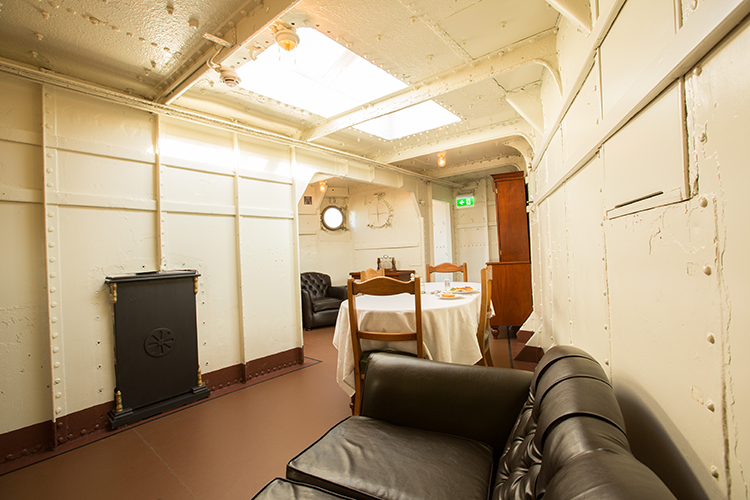 M&E services were further installed for the catering facilities in the mess area - an industrial kitchen fit-out to allow outside caterers to be able to use appliances such as portable ovens as well as toilets and wash rooms throughout the ship.